The MMSS program has its own center, which is housed at 555 Clark Street. The center consists of a computer lab, lounge, and administrative office. The lab and lounge are for the exclusive use of MMSS students. 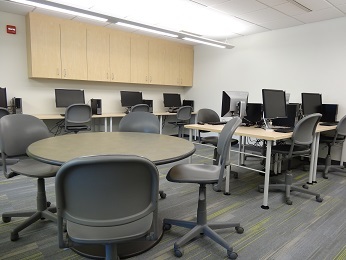 The computer lab is equipped with 12 PCs networked to a printer/copier and the lounge has a space for group study. Software such as Stata, SAS, SPSS and Matlab are available in the lab. MMSS Students are able to have 24-hour access for coursework and study groups through the use of their credentialed Wildcard.